HomeWood Designer ForumPolyboardChanging how the cut list prints? Changing how the cut list prints? 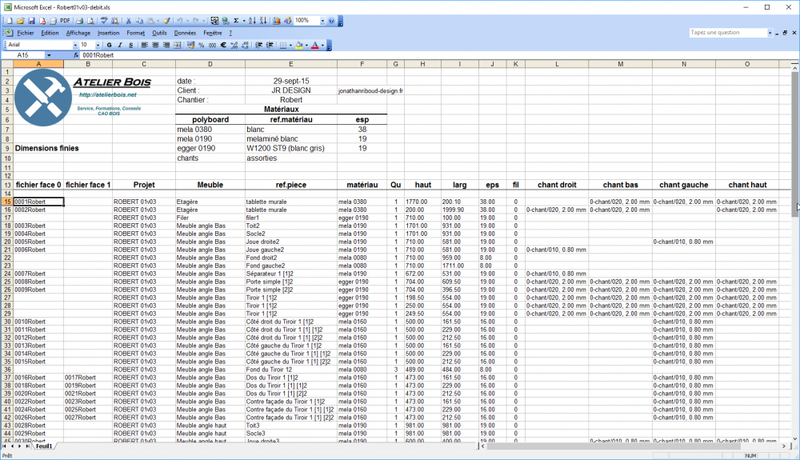 Here’s a video to explain how to export cutting lists to a spread sheet. You can use the same method to export to any program that can read txt files. Thanks for the help/tip. However, I must be doing something wrong… I’m getting nothing but garbage! I’ve tried several different ways of formatting Excel and I even had my son help! This looks very straight forward and almost easy…? I would really appreciate any help you could offer. The best way to have complete control over the cutting lists is to export them in text CSV format and load them into a spread sheet. To do this just click “Cutting list> ASCII Export”. This function is in all versions on Polyboard including the LITE. Once you know how to do it, it’s very easy and fast and enables you to set up quickly personalised documents. Hi, Is there a way to change how Polyboard prints out the cut list? I need to adjust the size of the cells and I'm also in need of moving/arranging the cells. I've looked all over the forum and cant find anything on how to adjust or eliminate cells when you print out the cut list.